Mark Zuckerberg says regulators and governments should play a more active role in controlling internet content. In an op-ed published in the Washington Post, Facebook's chief says the responsibility for monitoring harmful content is too great for firms alone. He calls for new laws in four areas: "Harmful content, election integrity, privacy and data portability." It comes two weeks after a gunman used the site to livestream his attack on a mosque in Christchurch, New Zealand. "Lawmakers often tell me we have too much power over speech, and frankly I agree," Mr Zuckerberg writes, adding that Facebook was "creating an independent body so people can appeal our decisions" about what is posted and what is taken down. He also describes a new set of rules he would like to see enforced on tech companies. These new regulations should be the same for all websites, he says, so that it's easier to stop "harmful content" from spreading quickly across platforms. What does Mark Zuckerberg want? The open letter, which will also be published in some European newspapers, comes as the social network faces questions over its role in the Cambridge Analytica scandal around data misuse during election campaigns. The site has also been criticised for failing to stop the spread of footage of the Christchurch killings, in which 50 Muslims died as they prayed. The video was livestreamed to the attacker's Facebook page on 15 March, before being copied 1.5 million times. Mr Zuckerberg's letter did not specifically name these incidents. However, the site earlier announced that it was considering introducing restrictions on live-streaming in the wake of the Christchurch attacks. On Thursday, it also said that it would ban white nationalism and separatism from the site. On Friday it also started labelling political ads appearing on Facebook in EU countries, showing who the advertiser is, how much they paid and who they've targeted. 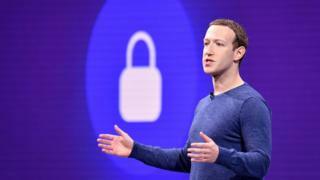 "I believe Facebook has a responsibility to help address these issues, and I'm looking forward to discussing them with lawmakers around the world," Mr Zuckerberg says.